Fibonacci was an Italian mathematician born in 1170. He is known for the Fibonacci sequence of numbers where every number is the sum of the two previous numbers. It starts like this: 0, 1, 1, 2, 3, 5, 8, 13, 21, 34, 55, 89, 144, 233… etc. So… why am I, the knitter, going on about some Italian that loved numbers? Because the Fibonacci numbers are BRILLIANT for striped knitting! Yes, by using these numbers to help us decide when to change colors you get a garmet that is random in color without looking like you where really confused when choosing the colors. Needles: 3,5 and 4,5 circulars, 60 cm. 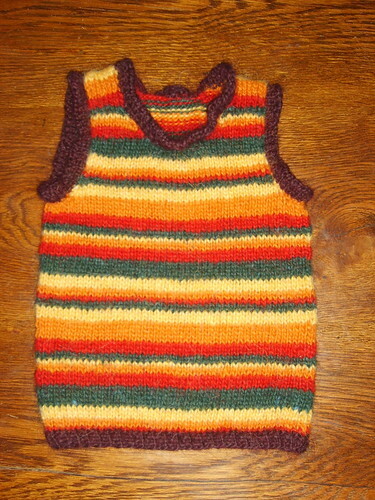 Here is the project on Ravelry. 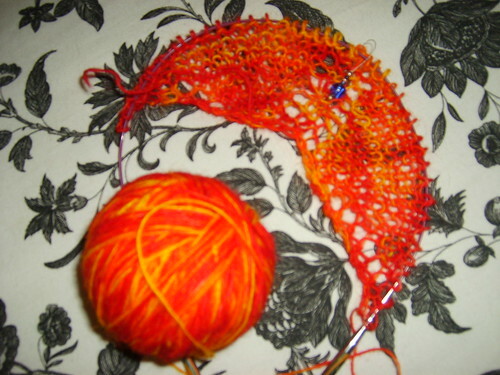 Posted in knitting, tips and tricks and tagged FO's, knitting, lopi, WIP's. Bookmark the permalink.